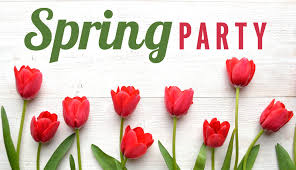 The school will close for the Spring break at 2.30pm on Friday 29th March. Nursery will close at 4pm on this day and there will be no Nursery wraparound between 4pm and 6pm. School and Nursery re-opens on Monday 15th April. Due to the success of the last two blocks of skiing, there will be another block for P4-P7 due to start in April 2019. The block will run for 5 weeks. If you are interested please see the letter below for further information. Please contact the Ski Centre directly to book a place. Braidbar Primary School are proud to announce we have been awarded the sportscotland Gold School Sport Award . We are now one of only 284 schools across Scotland to have received this prestigious award! The Gold School Sport Award is recognition of our school’s achievements in putting sport at the heart of our school’s planning, practice and ethos. The Gold Award also highlights that our school has shown excellent practice across the core areas of the Award and demonstrated an on-going commitment to increase young people’s opportunities and engagement in physical education, school sport and leadership and provide clear pathways to life-long participation in sport. Well done to everyone involved, especially our Active School Coordinators and special mention to our very own Mr Stuart Gordon who delivers all of our PE sessions in school, and assists with and helps organise our After School Clubs. We will have out award presented to us by sportscotland shortly. Look out for the date for this being announced……. 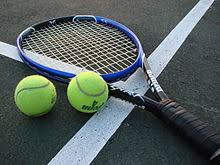 After the success of the Davis Cup at the weekend, Primary 4 pupils are being offered the chance to attend a P4 Tennis Club organised in partnership with our Active schools Co-ordinators and Giffnock Tennis Club. A confirmation email will then be sent from Giffnock Tennis Club with a copy of the tennis club’s safeguarding children form, which must be completed and returned prior to the start of the first session. Schools have recently received some Judo taster sessions from Pro Judo Head Coach, Brian Long. The idea of taster sessions within schools is to give children an opportunity to experience a new sports/activity that they may have not participated in locally. The children really enjoyed the judo session and were enthusiastic about the prospect of joining a judo club in East Renfrewshire. Pro Judo has been established since 2006, with 19 clubs across the West of Scotland it is the largest judo provider in Schools. All coaches are fully qualified and the organisation has a pathway in place to progress children from grass roots to performance athletes. 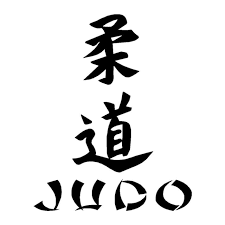 After the recent taster sessions in schools and enjoyment of the children, Pro Judo are looking to offer pupils the chance to take part in a 4 week trial offer of Judo at one of their classes. There are a number of clubs running across East Renfrewshire. The closest classes to your school are below. Cost: £4 for the trial block for 4 weeks. If your child is interested in attending please book on by clicking on the appropriate link above or email: bookings-eastren@projudo.co.uk to get the link. Please book the trial offer. This is only £1 per week for the 4 week trial. Congratulations to our P6 pupil Libby who won a bronze medal for swimming the 200m breaststroke at ON-X in Linwood on Sunday 17th June. Please click on the link below to access information on East Renfrewshire Culture and Leisure’s Holiday Activity Programme for Summer. 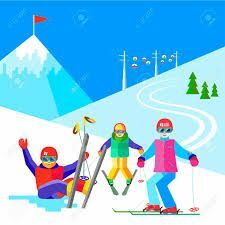 Please click on the link below to access an information letter on a P4 – P7 Family Fun Ski Night being held at Glasgow Ski and Snowboard Centre in June. Please see our twitter feed to access the link to our newsletter for June. This was emailed out to all parents/carers today. 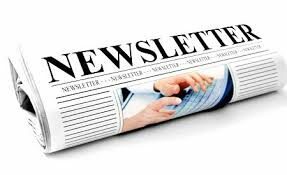 Please see our twitter feed to access the link to our newsletter for April/May. 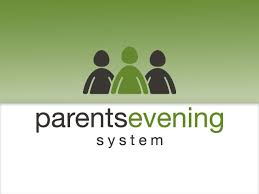 This was emailed out to all parents/carers today. 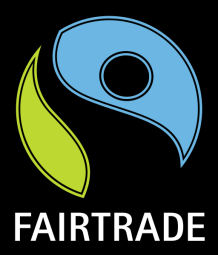 Just to let you know that the winner of our Fairtrade Competition was ……….P1b!!!! P2, 3 and 4 were very close! The pupils will enjoy their chocolate prize (Fairtrade of course!) later on. Thanks to Dalraj and Jamie who helped to count the wrappers and hand out the prizes, and well done to everyone who took part. Our Primary 7 children look like they have had a fantastic time at Lockerbie Manor this week. We hope you have enjoyed the daily updates on our twitter page. We look forward to having them all back to Braidbar and hearing about their many adventures! Please click on the attachment to see information on the Braidbar Primary Spring Party for children on Wednesday 28th March. Please note that due to Scottish Government advice ‘NOT TO TRAVEL’ on Wednesday 28th February, Braidbar Primary School and Nursery Class will be closed to staff and pupils. This information has been sent to all parents. Please see this page or our twitter feed for further updates. With World Book Day fast approaching, we wanted to let you know about how we plan to celebrate it this year! Braidbar Parent Council are planning a Book Swap to celebrate World Book Day. We ask that on Thursday 1st March pupils bring in a book they are happy to swap. On Friday 2nd March they will have an opportunity to choose a new book to take home. Please note that children may donate more than one book but each pupil will only be allowed to take one book home. Left over books will be offered to the school for the library or classrooms (any extra will be donated to local charity shops). We look forward to celebrating books and reading with you! Extended Hours Sessions - 8.00am - 6.00pm (according to allocation).